That's quite a bold claim, but from what I see it's a claim that the author, Michael Witwer, appears to be able to deliver on and the detail he's going into - from birth to untimely end - is astounding. 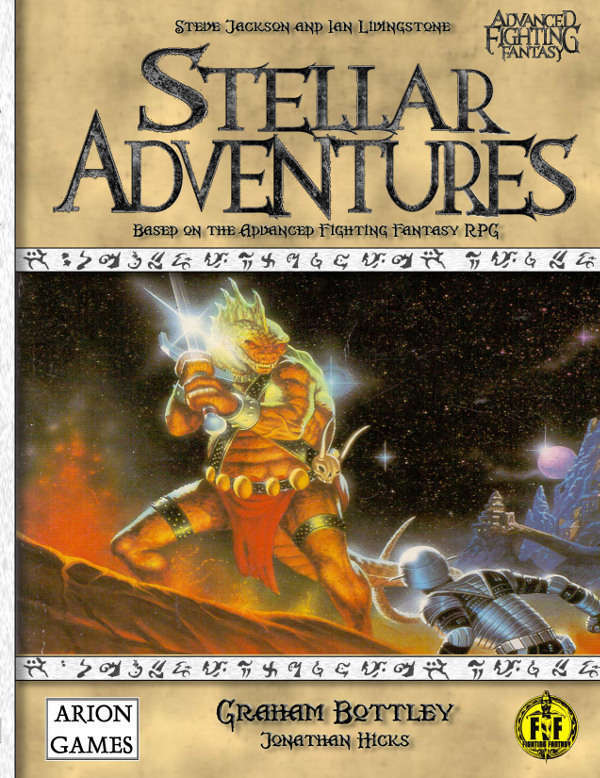 Besides that, the AD&D-inspired cover is wonderful. This is one book I'm looking forward to. And in case you think you may have heard the name before - you're right, you have. Michael Witwer is the brother of Emmy-nominated actor Sam Witwer (Being Human, Battlestar Galatica, Star Wars: The Clone Wars). It's due out October of this year, so make sure it's on your to-buy list. The godfather of all fantasy adventure games, Gary Gygax, has a life story that has only been told in bits and pieces. Michael Witwer has written a dynamic, dramatized biography of Gygax from his childhood in Lake Geneva to his untimely death in 2008. Gygax's magnum opus, Dungeons & Dragons, would explode in popularity throughout the 1970s and '80s and irreversibly alter the world of gaming. D&D is the best-known, best-selling role-playing game of all time, and it boasts an elite class of alumni - Stephen Colbert, Robin Williams, and Junot Diaz all have spoken openly about their experience with the game as teenagers, and some credit it as a workshop where their nascent imaginations were fostered. Gygax's involvement in the industry lasted long after his dramatic and involuntary departure from D&D's parent company, TSR, and his footprint can be seen in the genre he is largely responsible for creating. But as Witwer shows, perhaps the most compelling facet of his life and work was his unwavering commitment to the power of creativity in the face of myriad sources of adversity - cultural, economic, and personal. Through his creation of the role-playing genre, Gygax gave generations of gamers the tools to invent characters and entire worlds in their minds. Told in narrative-driven and dramatic fashion, Witwer has written an engaging chronicle of the life and legacy of this emperor of imagination. I bought 'The Trolltooth Wars' novel back when it was first published and enjoyed it immensely. 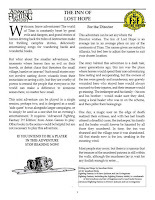 The adventures of Chadda Darkmane were fun and exciting and I got to explore Fighting Fantasy's world of Titan even more. This graphic novel is going to be produced by writer PJ Montgomery (Stiffs, Dynamite, The Pride Adventures), and artist Gavin Mitchell (Santa Claus Vs The Nazis, The Samurai Slasher, Stiffs, The Pride), and has the full backing of Steve Jackson. 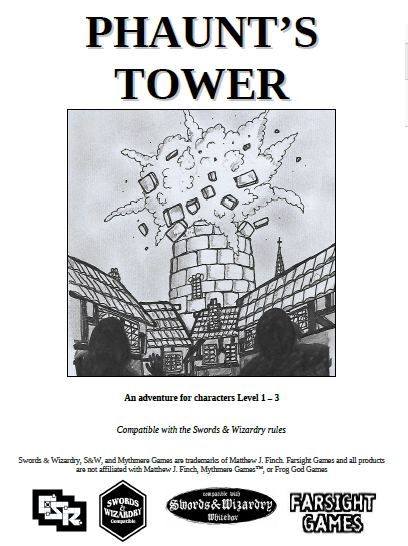 This is still on Kickstarter and, as of this blog post, still has four days to go so get on board and back this today! The novel tells the story of a war between two evil sorcerers, Balthus Dire and Zharradan Marr. With the peaceful kingdom of Salamonis threatened by the escalating conflict, King Salamon dispatches Chadda Darkmane to find a way of either ending the war, or turning it to Salamonis's advantage. The novel was successful enough to spawn two sequels, Demonstealer and Shadowmaster, featuring the continuing adventures of Darkmane and the good wizard, Gereth Yaztromo, which were in turn followed by the four part Zagor Chronicles series. This graphic novel is going right back to the beginning, adapting The Trolltooth Wars to bring the story to life in a brand new medium. 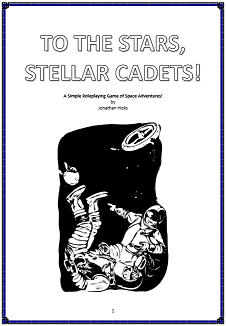 We're sticking closely to the story established by Steve Jackson, with some minor changes for space and pacing reasons (something you get whenever any story is adapted into a new format). The comic will bring Allansia to life like never before. Printed in softback, and featuring over one-hundred and thirty full colour story pages, in which you'll meet popular characters like Balthus Dire, Zharradan Marr, Gereth Yaztromo and the Warlock of Firetop Mountain himself, Zagor. Fans will also find a few Easter eggs scattered throughout the book, plus extras at the back. Conan RPG - Major Writers & Artists Announced! There's nothing better than getting news about an upcoming game that you're really excited about. So, when I received the below press release from Modiphius, well... there was much rejoicing. This is a heck of a lineup, and the prospect of getting my hands on the new game has just put the whole thing at the top of my to-get list. 'We can now announce that we've added legendary Conan artist Ken Kelly (Robert E. Howard covers for Berkley and Tor, Eerie, Creepy and Vampirella for Warren magazines) and Dark Horse regular Tomas Giorello (Conan The Cimmerian, King Conan, 2013 Robert E. Howard Foundation Award for Artistic Achievement) to the team who'll be creating the stunning covers for the Conan books. They join other greats including Sanjulian, Carl Critchlow, Mark Schultz, Tim Truman, Phroilan Gardner, Alex Horley with more still to be announced! You may also have missed our update that Vincent Darlage (Conan d20, Member of the Robert E. Howard United Press Association) has joined the games design team alongside Mark Finn (Blood and Thunder: The Life and Art of Robert E. Howard, The Barbaric Triumph, The Dark Man: The Journal of REH Studies). Patrice Louinet, well known for his expertise and seal of approval for the Conan board game by Monolith, will be working alongside Jeffrey Shanks to ensure the Conan roleplaying game is of the highest standard. Patrice was Editor of the definitive, three-volume Conan series (from Del Rey Books (US), Wandering Star (UK) and Bragelonne (France). Awarded Lifetime Achievement award from the Howard Foundation (USA, 2014) and the Special Award from the Imaginales (France, 2012)). Sally Christensen (Cortex Hackers Guide, Firefly RPG, Leverage Companions, Marvel Heroic) steps up as Line Editor with support from Thomas M Reid, to keep the rabble writing proper. Remember to tell friends to sign up at http://www.modiphius.com/conan.html to get the first news of the Conan roleplaying game launch and be invited to the playtesting. Dark Detectives is an anthology based around detectives dealing with the supernatural. Mostly. There are a couple of stories where there are odd things afoot but which turn out to be trickery on the part of evil-doers, much in the vein of a Scooby-Doo story.I don't have a problem with this, in fact it adds a different dimension to proceedings and helps to keep things fresh. The problem I have with this book is the same problem that plagues any anthology. By which I mean the fact that the stories are written by different authors and therefore the quality can vary dramatically. It's a rare anthology where all of the stories are stand-out impressive and this book, unfortunately, isn't one of them. Even the stories written by authors I particularly admire, such as Neil Gaiman, left me feeling as though they had not tried particularly hard but had merely dashed out something that would fit the bill. That isn't to say that it's not worth a read and lovers of occult mysteries and weird tales will no doubt find the book far more engaging than I did (I enjoy a good detective story but can take it without the dark arts). I merely feel that the stories are either fairly simple, without any great surprises or any gripping element, or convoluted and populated with the kind of characters that require a whole book, rather than a snapshot of what they have to offer. Throughout this book there is a seven part story that unfolds at a rate of roughly one part every other story. This running adventure could probably have been the sole purpose of this book and filled out the nearly 500 pages nicely. With all of that said I can only conclude by saying that these stories are hit and miss but readers who have a passion for the subject matter will likely feel their money was well spent. It’s difficult to write a review of any length or content when the product in question simply does not have much about it to talk about. When the D&D 5th Edition DM’s Screen landed on my doorstep I was pretty excited - any decent tabletop roleplaying game needs a decent DM’s screen, and I’ve got a few in my collection. I find them handy for two reasons - guarding against the prying eyes of the players and having handy charts and tables that will aid in the flow of an evening’s play. The D&D 5th Edition DM’s Screen gets it at least half right. You get exactly what you pay for - a screen of sturdy card with an inspiring piece of art on the player’s side and some charts on the DM’s side. And that’s it - there’s no handy handbook of extra tables or references, no adventure or campaign details, nothing at all. There’s a nice poster on the reverse side of the cover sleeve for the D&D Adventurers League saying ‘WE WANT YOU AT YOUR NEAREST GAMING STORE’ which looks nice on my wall, but it’s a reused image from the cover of the DM’s Guide and is quirky but, frankly, useless in a game. The landscape format is excellent; the majority of my screens are portrait and stand quite tall, so this is better as you can lean over the screen without having to really stretch or walk around it. It doesn’t dominate the table, and the artwork is inspiring and action-packed. This also makes it long so you can get plenty of secret notes and books behind it. In this it does exactly what it’s designed to do. But, I like to have handy charts on the DM’s side of the screen that I can easily reference and I can honestly say that the charts included would have definitely not been my first choice. The charts for NPC characteristics, ideals, bonds, flaws and the random name generator seems superfluous and isn’t something I’d be looking to use during a session – I’d have put tables like that in a booklet that came with the screen. This takes up an entire panel, with space wasted on artwork. The next panel is a bit more useful, with rules covering certain conditions that might arise such as being blinded, charmed and grappled, but again there is wasted space with unrequired artwork. Panels three and four then give us helpful tables and references, such as setting a DC and rules for cover and skills, and then there’s some travel and distance charts which are useful but, again, it isn’t something that would crop up regularly in a session, let alone an encounter. There’s the same trouble with the wasted space again, but finally there’s a ‘Something Happens!’ chart, with twenty things that might happen at random with a D20 roll, such as ‘1 – A door opens’, or ’11 – Someone gets angry’. I simply do not see the benefit of this as this indicates that the evening’s play is going to be totally on the fly. Like a lot of the charts it’s a waste of space and other much more useful encounter-orientated tables, which is what you need when you don’t want to stall the action to search out rules or charts in a rulebook, would have been much more suitable. All in all the D&D 5th Edition DM’s screen is a little disappointing. It’s functional and a great size, and I’ll be using it at my gaming table for sure, but the lack of useful charts and the fact that there is simply nothing else in the product to help DMs out, especially DMs new to the hobby, makes this feel like a somewhat missed opportunity. 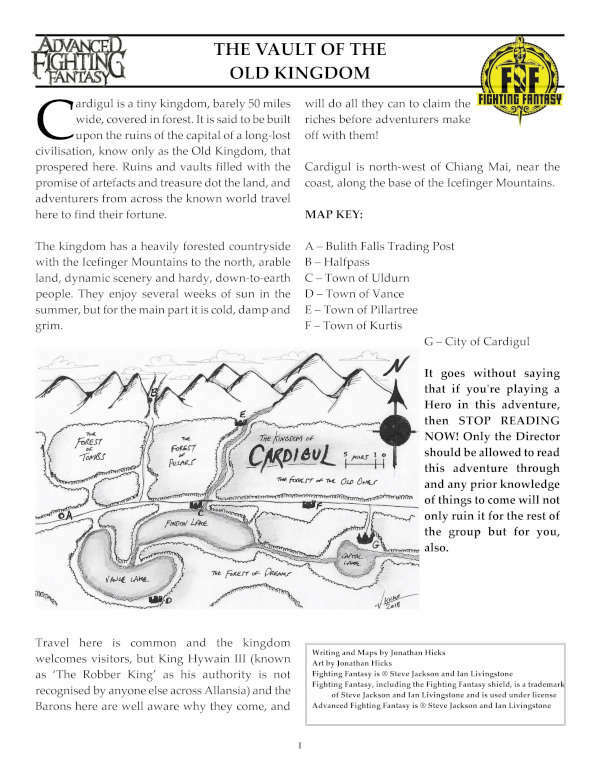 I've had my eye on the Iron Kingdoms RPG for a while now, and thanks to this session report from GMorts Chaotica I get the feeling I'm going to be visiting this place very soon. 'It is a land like no other, a place where steam power and gunpowder meet sword and sorcery. I'm a newbie when it comes to the steampunk genre - I've dabbled in it, grokked the setup but never really connected with it. I had a couple of games of Warmachine, the miniatures game, when it was first released and enjoyed it, but I like a bit more depth and involvement in my tabletop gaming and so when an RPG was announced I followed it's progress. Since it's release I've heard good things but never had a chance to really get to know the game, but now that GMorts Chaotica has written a session report I get the feeling that I'm going to be gravitating towards this game - that is, if I can squeeze it in between my other campaigns. The session sounds like they had a blast, and this makes me think I might have to make the time for it. Click here and have a read of the first session. It sounds like fun, and I'm looking forward to hearing more about the travels and trials of this group. Please welcome to Farsight Blogger Chris Birch, the founder and publisher of Modiphius. I spoke to Chris about a year ago about the wonderful Mutant Chronicles RPG and this time around I've got a few questions about something I'm incredibly excited about; the pending Conan game! Well – you’ve got your hands on the Conan licence and you’re bringing the Hyborian Age back to the gaming table. Exciting times! How great did it feel to get hold of such a thing? It took a long year of negotiation but it was great to finally sign. Conan has such enormous untapped potential in the RPG field. I believe it can be one of the major choices in sword & sorcery gaming. We had to hold of announcing for various reasons so it was fantastic to finally unveil our team! Conan has been through a lot of different incarnations since Robert E Howard unleashed him on the world, from the interpretations of other writers to movies to comics to games, all of varying quality and accuracy. 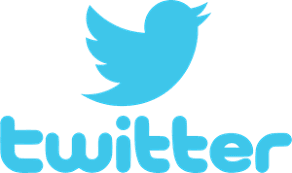 What will you be using as source material and inspiration? We will only be using the original authentic Howard stories for the books. We have Howard scholar Jeffrey Shanks on board to help guide the team and approve the content. Of course RPG's need campaigns and fleshed out material, so where we need to create new content, Jeff will be helping ensure it's written in the same vein as Howard and that it stays true to how he would have written it. Will you be bringing anything new into the mix, or are you sticking close to what has come before? Well previous games have delved in to the pastiche material whilst we will be solely focused on the authentic writings. It actually simplifies things as we don't have vast amounts of sometimes conflicting material (by other writers not Howard), to sift through and make sense of the world. The list of writers and artists you’ve bought on board is impressive and promises much. Just how big do you intend the initial rulebook to be? Huge on rules and setting? The core book will be around 350 pages - about 150 of setting to get you going, and 150-200 rules. The supplements will properly expand the setting though not in super detailed form, more a slice of life, plots, mysteries and so on during that particular time of Conan. You’re using the 2D20 rules, which we’ve already seen put to good use in the Mutant Chronicles 3rd Edition game. 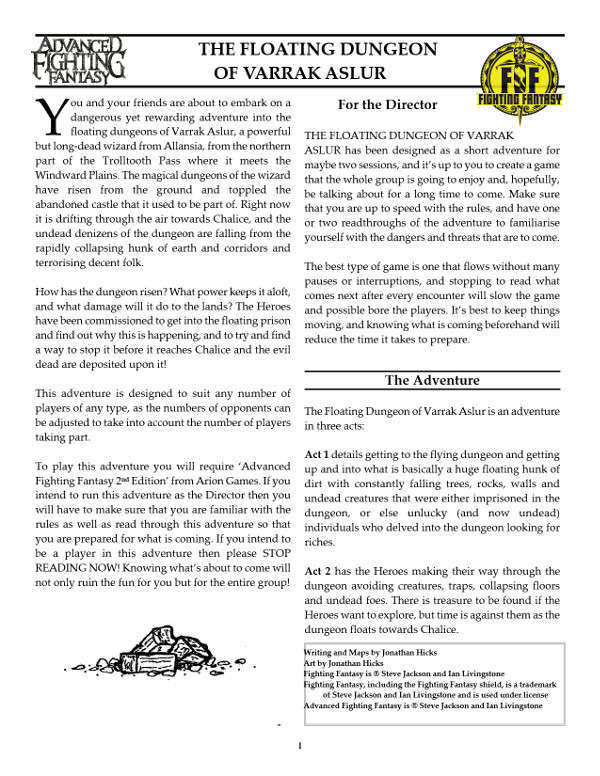 Those rules are suited for cinematic action so are you looking for something similar for the Conan RPG or are you taking it another direction? You say that Kickstarter will be used to fund to ‘a larger range of roleplaying supplements, campaigns, and accessories to follow the core book’. What can we expect see? there will be supplements offering a slice of drama and action from the regions that Conan visited and tied in to specific experiences - themed around Conan the Thief, the Reaver, the King and so on. There will be big campaigns including following the adventures of Conan and his friends and we'll be offering pre-gens of all the major characters. You can expect cool gaming tiles to use with the various Conan miniatures, custom dice and much more! You’re also working in conjunction with Monolith Board Games (of the Conan boardgame) and Funcom (of the Age of Conan MMO). That sounds interesting - what have you got planned, and how will the three gaming styles fit together? 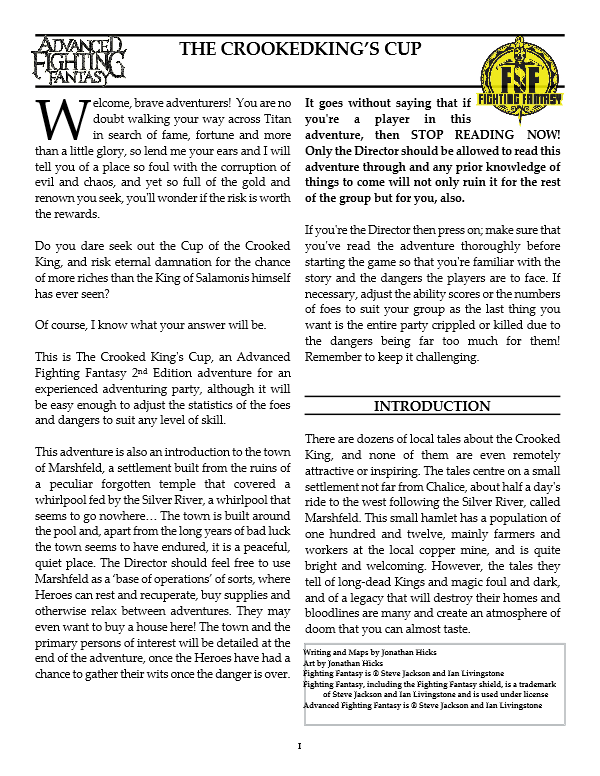 We're planning cross-overs with both - an Age of Conan supplement offering the creatures, places and stories from the video game, and a campaign book that incorporate both RPG adventures and boardgame scenarios alongside each other so you can use both games to tell the full story. Give us a quick lowdown on what’s happening with Modiphius at the moment; what’s out and what’s coming. Well the Thunderbirds Kickstarter is currently going insane raising over £120,000 in just four days, and we're also in the middle of the playtest for the INFINITY sci-fi RPG.